When George Washington beat a hasty retreat from New York City in August 1776, many thought the American Revolution might soon be over. 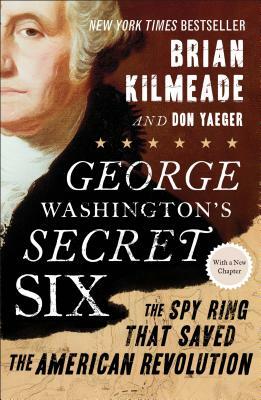 Instead, Washington rallied—thanks in large part to a little-known, top-secret group called the Culper Spy Ring. He realized that he couldn’t defeat the British with military might, so he recruited a sophisticated and deeply secretive intelligence network to infiltrate New York. Brian Kilmeade cohosts Fox News Channel’s morning show “Fox & Friends” and also hosts the nationally syndicated radio show “Kilmeade & Friends.” He lives on Long Island. Don Yaeger has written or co-written twenty-three books, and lives in Tallahassee, Florida.